7 Amazing Lehenga Colours For Brides With Duskier Complexions! Fair, dusky, wheatish… for us it doesn’t matter what colours you wear as far as you’re carrying it off with style. But we do agree that certain colours compliment and flatter specific skin tones better than the others. 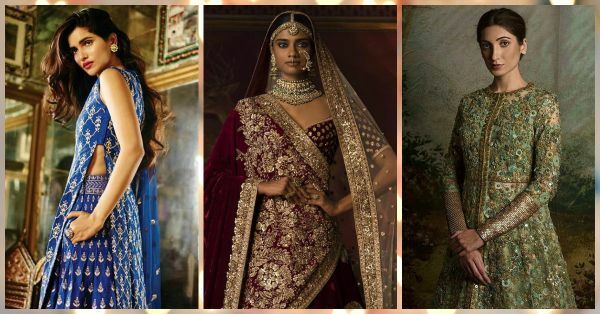 So if you’re a dusky bride who is still in the process of finalizing her bridal lehenga, just take a quick glance through our ‘bridal lehenga colours’ guide. Image: Anushree Reddy Official on Instagram Most brides still prefer wearing red for their special day. Refrain from wearing a bright red or a tomato red lehenga. It may end up looking too OTT. Look for deep maroons or red with a tinge of orange. 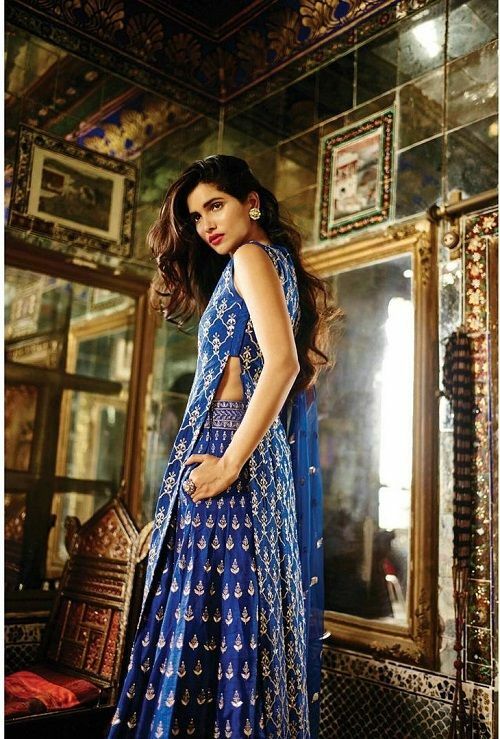 Image: Anita Dongre on Instagram It’s almost surprising to see the number of brides wearing blue at their shaadi! And we have to admit that the colour looks extremely elegant. While a pale blue may make your face look dull, a bright blue might look too flashy on dusky skin. Opt instead for deep, royal blue. Sea blue is also a great choice for a day wedding. If you’re thinking of wearing pink on your wedding, look for lehengas in blush pink. While a magenta may make you look washed out, a nice blush pink is sure to compliment your complexion and add that natural glow to it. It’s almost surprising to see the number of brides wearing blue at their shaadi! And we have to admit that the colour looks extremely elegant. While a pale blue may make your face look dull, a bright blue might look too flashy on dusky skin. Opt instead for deep, royal blue. Sea blue is also a great choice for a day wedding. Also Read: How To Wear A Lehenga - 10 Things To NOT Do When You Wear A Lehenga! Image: Sabyasachi Official on Instagram Now this one’s not limited to just dusky brides. Plum is one colour that is said to compliment every skin tone. 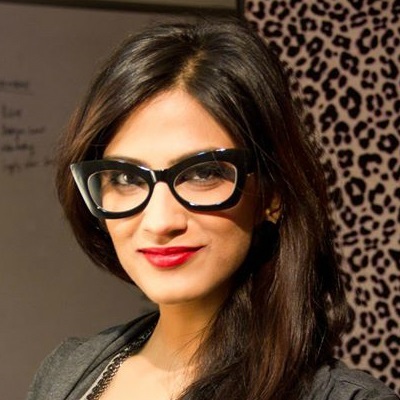 Plus, it’s also one of the hottest colours of the season and looks gorgeous during winters. A plum lehenga with dull gold embroidery is sure to make you stand out. Peach is a dusky bride’s best friend! From lipsticks to outfits, peach looks great on dusky skin tones. It makes your complexion look radiant and the colour almost instantly brightens up the face. Same goes for coral! Also read: Finalizing Your Lehenga? All You Need To Know About The Fabric! 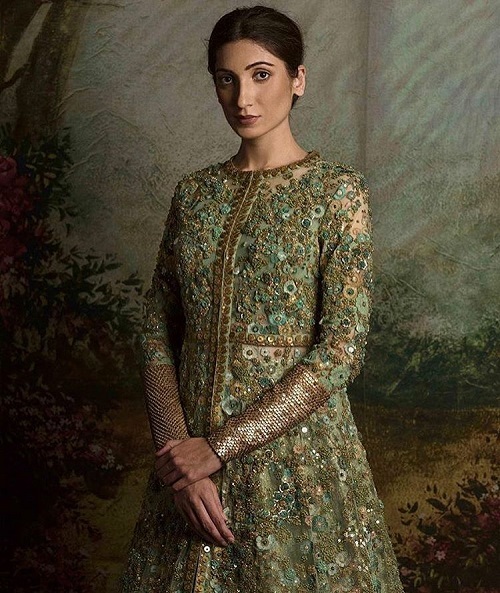 Image: Sabyasachi Official on Instagram Green is a colour with one too many shades. And when it comes to dusky Indian skin tones, teal green and olive green look the best. If there are two shades you absolutely must avoid, it is pista or mint green. Olive tones look stunning all through the year and are our personal favourites too! 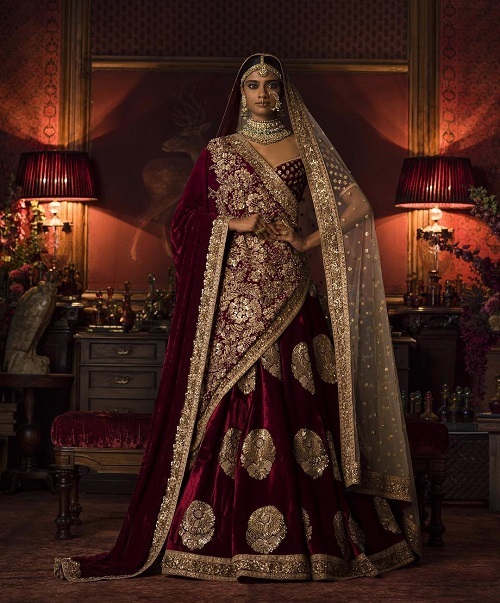 Also Read: Rent Designer Bridal Lehengas From These Online Websites! 1. It’s not the colour as much as it’s the shade. All colours work well on every skin tone, the shade you pick is what makes all the difference. 2. More than the lehenga it is the colour of the blouse that matters. Your blouse colour will reflect on your face and you’ve got to make sure it flatters your skin tone. 3. When in doubt, remember that earthy tones like coral, peach and olive will always work for you. Indian skin tones in general look best with earthy colours. 4. It’s not just the colour of the outfit that matters. Your jewellery and makeup too play a huge part in bringing out your overall look. Whatever you choose, just remember, you’re fabulous as you are!